Pag lace is a unique product of the hard-working and skilful hands of the women from the town of Pag. 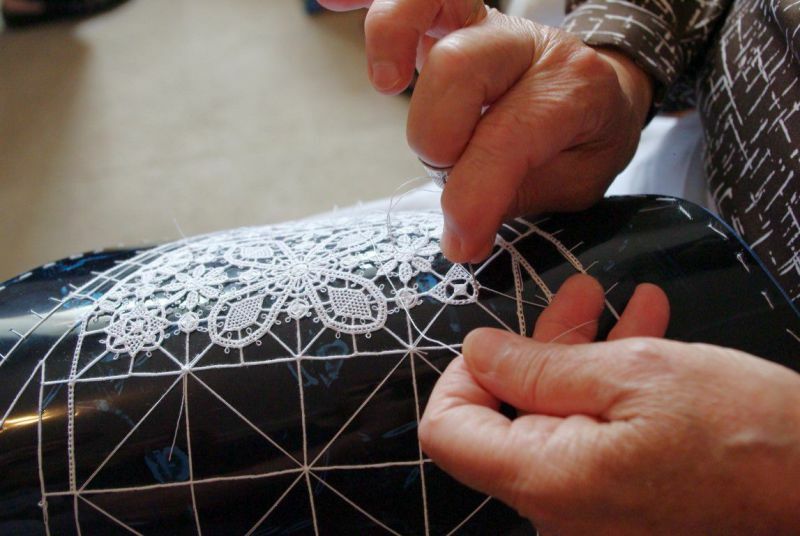 Lace-making is a very old tradition throughout the Mediterranean. In the town of Pag, the making of lace for the needs of women’s and clerical vestments was already recorded in the mid-15th century. 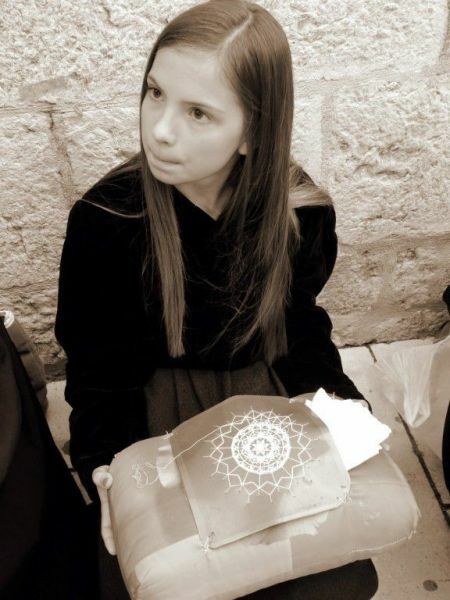 In the Convent of St. Margaret, the nuns instructed girls, teaching them to read and write and to make lace. Archival sources from 1579 testify to this. History recalls the time when Pag’s women were summoned to Vienna to the imperial court before the Archduchess Maria Josepha, the emperor’s mother, to show her how Pag lace is made. 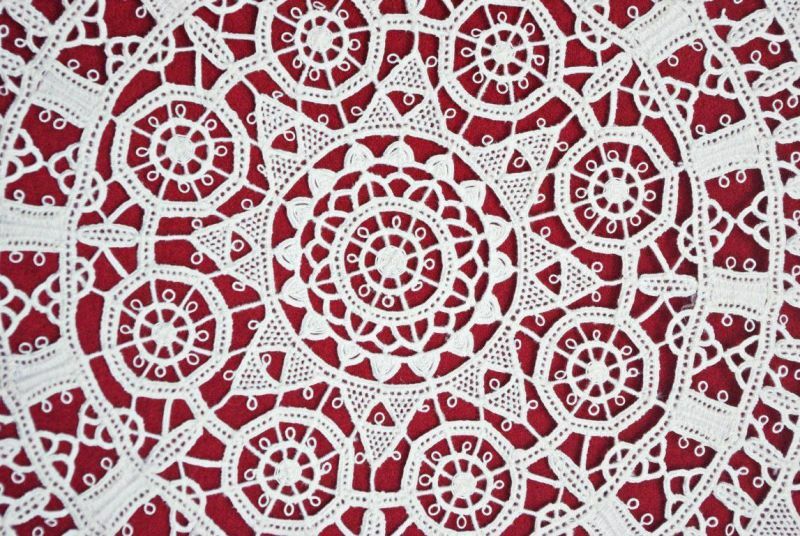 Word of the beauty and perfection of this lace was carried far and wide, and its production intensified after the establishment of the Lacemaking School in Pag in 1906. The school operated until 1945. In 2009, Pag lace was registered in the list of intangible cultural heritage by UNESCO. 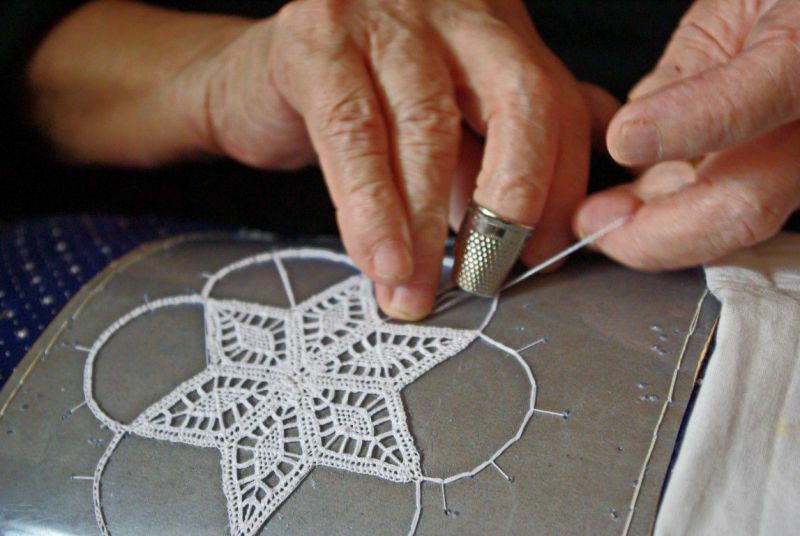 It was registered in UNESCO’s list together with the lace from the island of Hvar and the town of Lepoglava, thereby becoming one of seven Croatian intangible cultural goods included in this list. 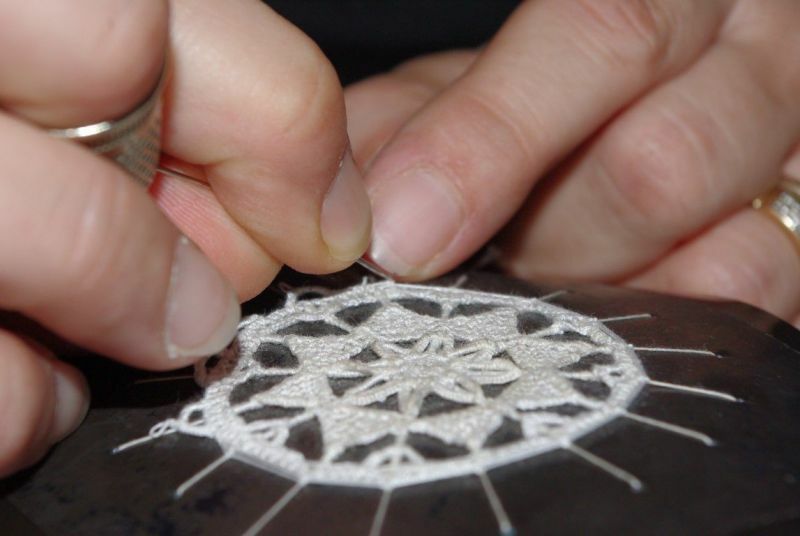 In order to maintain the tradition of making Pag lace, in 2008 the nuns began to organize instruction for interested women in Pag. 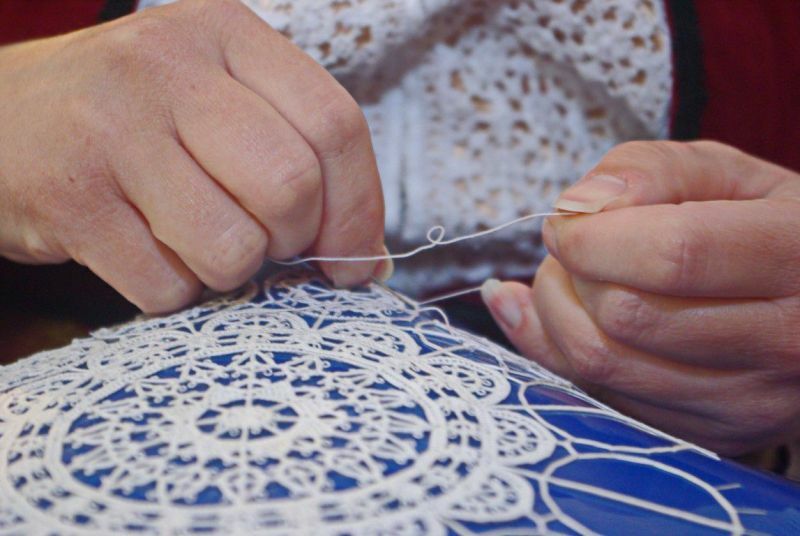 Today M. Placida Sikirić and M. Gabrijela Perinović make lace in the convent together with the renowned Pag lace-making instructor Mrs. Urica Orlić. Pag’s schools and the Frane Budak Society of Pag Lace-makers also see to the preservation of lacemaking. Over time, lace became a stand-alone decorative item, an adornment on furniture, framed and mounted on walls, inserted or sewn into articles of apparel, an embellishment on the hems of sheets, headboards, curtains and tablecloths, and a decoration on clerical vestments. Today Pag’s lace-makers can be seen on the town’s streets as they create this loveliest of women’s handicrafts. The Pag Lace Gallery was opened in the very heart of the town, in the Rector’s Palace on Petar Krešimir IV Square. 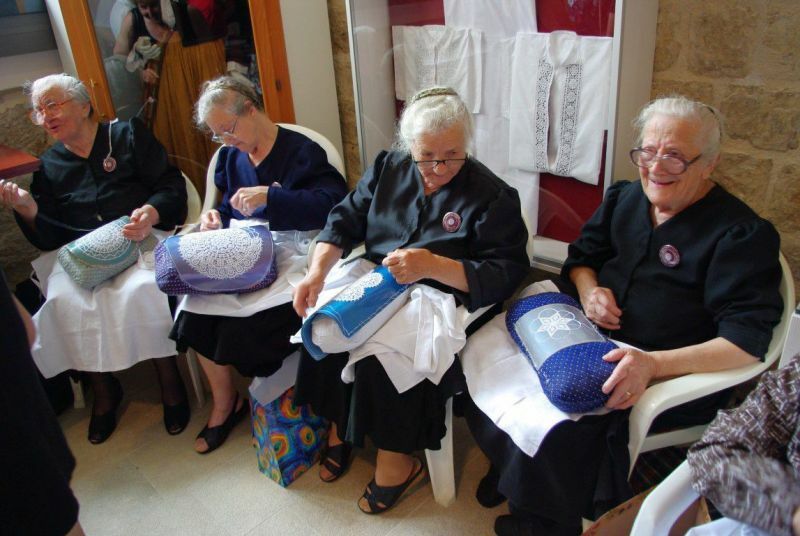 The Croatian Ministry of Culture proclaimed its collection a cultural good, which the nuns in the ancient convent have gathered and safeguarded for over 150 years. ATTRACTION - Lace Gallery, Occupation: Lace-maker"